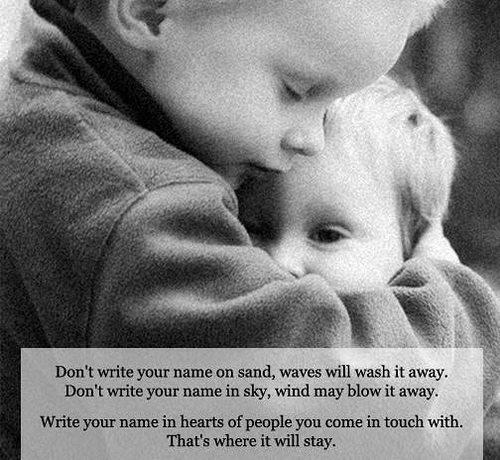 Don’t write your name on sand, waves will wash it away. Don’t write your name in sky, wind may blow it away. Write your name in hearts of people you come in touch with. That’s where it will stay.